A federated Governing Body exists for both Tavernspite and Templeton School. The two schools were formally federated in April 2016 and work together colloboratively. 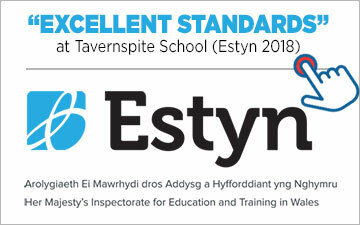 This federation has been so successful that it is the subject of an Estyn best practice research project on fededration arranegements. The governing body is made up of governors from both schools. The full Governing Body meets termly to discuss a range of issues. If you would like a copy of any full GB meeting minutes then please contact the Head Teacher. There are also a number of sub committees, e.g. finance, buildings, curriculum, appointments, performance management, complaints etc. In the front entrance of the school is a framed photograph with accompanying name and position labels of all members of the Governing Body. It’s worth taking a look at these photos to familiarise yourself with the governors. 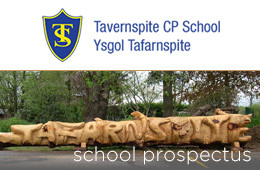 "Pupils at Tavernspite School achieve excellent standards". "The federation's leadership team have a powerful vision. They establish high expectations with a strong focus on teaching and learning and share skills and expertise highly successfully". "The quality of care, support and guidance is excellent". "Exemplary Provision and Standards" "Excellent" "Very high standard" "Exceptional Progress" "Highly Effective"